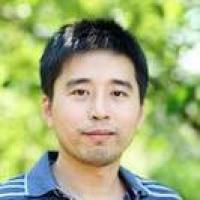 Professor Yi (Daniel) Xu’s research focuses on Productivity, International Trade, and Industrial Organization. He has received grants from the National Science Foundation, the Private Enterprise Development in Low-Income Countries, and the NET Institute. His most recent work has been published in the Rand Journal of Economics, the World Bank Economic Review, the American Economic Review and the Review of Economic Dynamics. He is currently working on projects that explore innovation, productivity, exporting and industry dynamics, with a special focus on East Asian emerging economies such as China, Taiwan, and Korea. Professor Xu’s research focuses on Productivity, International Trade, and Industrial Organization. He has received grants from the National Science Foundation, the Private Enterprise Development in Low-Income Countries, and the NET Institute. His most recent work has been published in the American Economic Review, the Rand Journal of Economics, the World Bank Economic Review, and the Review of Economic Dynamics. He is currently working on projects that explore innovation, productivity, exporting and industry dynamics, with a special focus on East Asian emerging economies such as China, Taiwan, and Korea.